The 2019 MINI Cooperdebunks the myth that small cars are unsafe, by earning high safety scores from top organizations such as the Insurance Institute for Highway Safety (IIHS) and the National Highway Traffic Safety Administration (NHTSA). While larger SUVs and trucks may be top of mind for vehicles that command the road, the MINI Cooper Countryman safety rating, as well as the safety rating of other MINI Copper models, proves subcompact cars can be just as safe and even more fun to drive through San Marcos. How Safe are MINI Coopers? The MINI Cooper safety ratings are sure to give you a boost of confidence behind the wheel. The most recent MINI Cooper was named a 2018 Top Safety Pick by the IIHS, which is given to vehicles that receive high marks in several vital crash tests. The top designated score in all categories is “Good”, which the MINI Cooper earned in almost every area. The NHTSA also performed rigorous testing on the MINI Cooper, giving it high marks across the board. MINI has always been known for its energetic performance and reliability, and now you can rest assured this fun car is also safe for your daily Carlsbad commute. 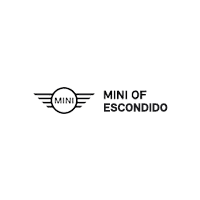 Experience everything MINI has to offer at MINI of Escondido by scheduling a test drive, and make your purchase even more affordable when you take advantage of our current new vehicle specials.